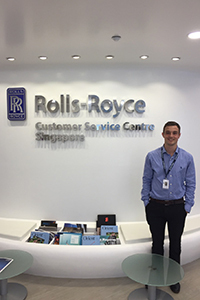 As part of my year in industry with Rolls-Royce, I was given the opportunity to spend three months in Singapore, working in the Customer Regional Team. 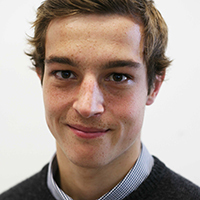 This was a great opportunity for me at this stage in my career as it has allowed me to experience engineering in a new culture and develop both my technical and soft skills. My role in Singapore is to provide technical support to our customers; this role has been challenging and pushed me to develop new skills. I have had to adapt to a new working environment which is very different to the one I left in the UK, however this has been a great chance to learn how to work effectively in a foreign environment. 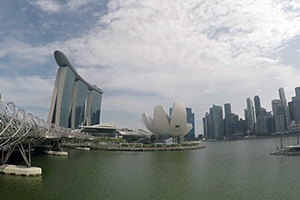 Singapore is a fascinating place to live, with its modern architecture coupled with Asian influence. It is a vibrant city with lots to see, eat and drink. I would recommend anyone who has the opportunity to work or visit to take it. I have also been fortunate enough to live with a local family so have really got to immerse myself in the Singaporean lifestyle. This placement was only possible because I received an Engineering Leaders Scholarship from the Royal Academy of Engineering which allowed me to fund the trip myself. SELA played a huge part in me receiving this award and has also allowed me to make the most of the placement by applying the presentation, networking, and team-working skills I developed as part of the programme. My placement has been a unique opportunity for me, and one that will benefit me in years to come. I will now return to Sheffield to finish off my degree in September. I will definitely be looking to come back to Singapore or find another opportunity to work abroad, as it has been a great experience and allowed me to develop massively as a young engineer.